Fiocchi® Rifle Shooting Dynamics Ammo. 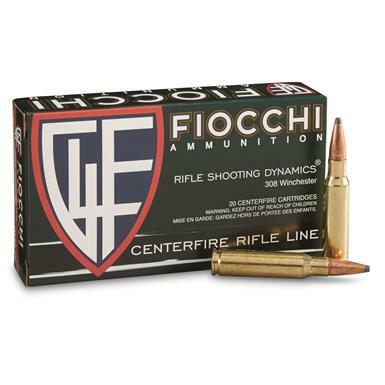 Fiocchi, .308 Win, PSP, Rifle Shooting Dynamics, 150 Grain, 20 Rounds is rated 4.8 out of 5 by 4. Rated 4 out of 5 by LESTER from Havent had a chance to shoot them yet.